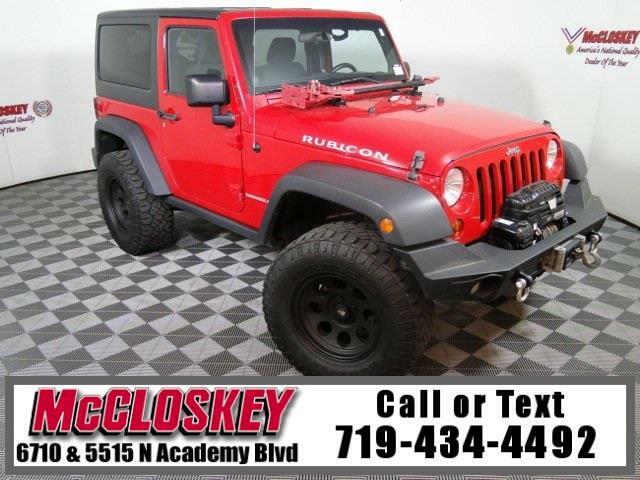 Wonder anywhere in this 2012 Jeep Wrangler Rubicon 4x4 with Lift Kit, Sway Bar Disconnect, Keyless Entry, Premium Sound System, and Manual Transmission! The Rubicon is not the most abundantly equipped trim level, per se, but rather the trim that boasts the most robust off-road credentials. It adds on top of the base Sport equipment special 17-inch wheels, 32-inch tires, heavy-duty axles and transfer case, electronic front and rear locking differentials, a disconnecting front sway bar, rock rails, air-conditioning, a leather-wrapped steering wheel and satellite radio. The 2012 Jeep Wrangler comes standard with a 3.6-liter V6 that produces 285 hp and 260 pound-feet of torque.